This book provides a practical, three-step plan for women who want to create a life where running your own business and having a family does not exclude one another. 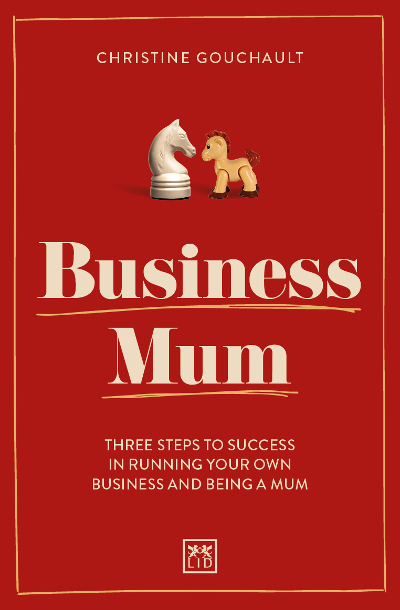 The author – a “business mum” herself – prepares mothers for the potential obstacles they will face when starting and running a business, and provides tools and advice to help overcome them. Moreover, through the stories of 10 successful self-employed mums, the book demonstrates it is possible to create a happy and well-balanced life. By using your strengths and resources correctly, and daring to follow your heart, there is every possibility of becoming a good mum and successful businesswoman. How mums can juggle business and family to create a happy and well-balanced life. ● Mums are taking the small business world by storm (generating £7 billion for the UK economy alone). ● This book provides “Mumpreneurs” with savvy and practical advice on tackling work and home obstacles. ● Written by a mum who has been through the difficulties of setting up her own business and raising a young family. Christine Gouchalt is a mother of four and a business owner. With her company, Mors Business, she has created a community for self-employed women in Denmark with more than 400 members. Through counselling, workshops and lectures, she helps newly started businesses find their place in the market.